Jesus calls us to visit those in prison. What is he really asking of us? 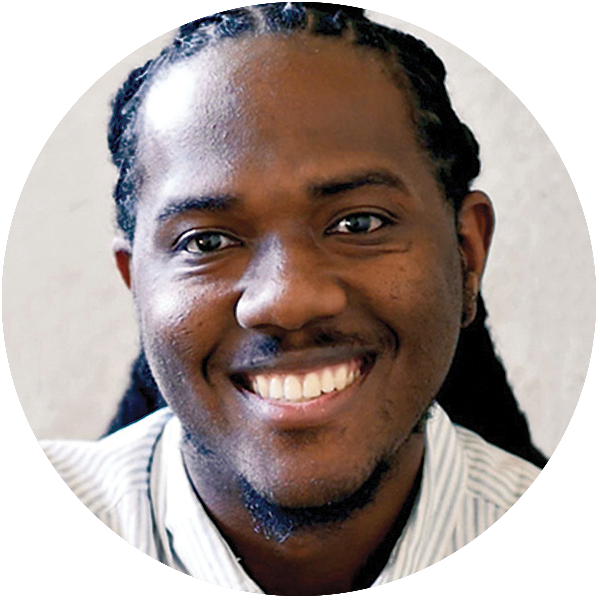 Dominique Gilliard is the director of racial righteousness and reconciliation for the Covenant, and author of Rethinking Incarceration: Advocating for Justice That Restores (IVP Books, 2018), which has received a starred review from Publishers Weekly. Dr. John Perkins has said, “The role of the church is to incarnate themselves in the pain of the people they are called to.” This was weighing heavy on my soul, and I was praying and trying to discern what God was doing and why I had this burden. When I turned to Scripture, the connections between incarceration and Scripture just leaped off the page at me. I felt like God was telling me to go and start spreading the word about this message. How did you first become aware of the injustice of mass incarceration? During the winter of 2006—my senior year of undergrad studies—a tragedy occurred ten miles from my campus that changed the trajectory of my life. Kathryn Johnston, a ninety-two-year-old woman, was shot and killed by police in the living room of her Atlanta home. In what was deemed a “botched drug raid,” unidentified officers stormed Johnston’s home with assault weapons drawn at 3 a.m. Three officers discharged thirty-nine shots, fatally striking Johnston five times. These three officers then conspired to cover their transgressions. I had four different target audiences. The first is the people who are involved with mass incarceration already but are doing it from an exclusively evangelistic standpoint. They’re not doing holistic ministry, and I want people to understand that there’s more to evangelistic ministry. I want people to understand that there is the possibility of whole-life transformation and discipleship. All too often we focus on making converts, but Scripture never says we’re supposed to go make converts. It says we’re supposed to go make disciples who make disciples. So how do we move from just being satisfied with converts to push for actual disciple making? God is about in this world. The third group is people who know that there is something wrong with the system, but they don’t really know what it is. I wanted to walk them through what is going on. The last is people, particularly evangelicals, who have traditionally supported legislation around law and order and getting tough on crime. This group all too often advocates for zero tolerance and even capital punishment—I want to help them rethink how some of that might be connected to misunderstanding God’s justice. If we see God’s justice in deeper, truer ways, we might stop being so partisan and holding to these kinds of punitive measures. We might begin to imagine more reformative, restorative ways to respond to criminal violations. How is this book different from other recent titles on this issue? It is written for the church, while at the same time it upholds a robust historical and sociological analysis. 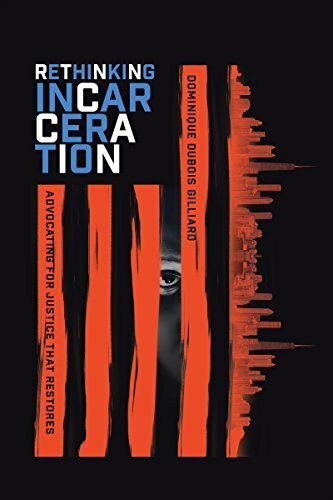 As well, while other books identify the detrimental effects of the war on drugs, this book addresses other pipelines that feed the prison-industrial complex, such as the war on immigration, mental health, private prisons, and the school-to-prison pipeline. What role can the church play in addressing mass incarceration? We need to ask sober questions about how we have derived our definition of justice. Is it biblical or is it from a worldly meritocratic view? Second, we need to reexamine our atonement theology and make connections between what we understand as transpiring on the cross and how we understand reconciliation with God to be made possible. How does that influence and shape our understanding of justice and reconciliation in tangible ways? The last thing is this whole question of proximity. Have we taken seriously biblical passages that call us to be proximate to the incarcerated and to suffering people in general? I always say, “We don’t know because we don’t go.” If we’re faithfully listening to the biblical text, we are actually going into prisons. The Bible calls us all to do this—not just socially minded Christians, but all of us. In Matthew 25, Scripture says that when we are with the least of these, we are with Jesus. How differently would our actions look if we knew we were going to prison to see Jesus in our engagement with this system? How would it change the way we think and the language we use? That’s just so profound. I want the church to really grapple with this. No country in the history of the world has ever been in this place. The U.S. constitutes only 5 percent of the world’s population, but we have 25 percent of its incarcerated populace. What does our faith call us to in this watershed moment? If people walk away from the book asking this question, then it will be a success. Why is our language important when we talk about people who have been incarcerated? When we call someone an “ex-convict,” we strip away their humanity. It forever defines that individual by the worst thing they’ve ever done. What we articulate starts to shape our vision of the world, so when we refer to someone as a “returning citizen” instead, we offer a vision that’s more humanizing and dignifying. And consider how we use the word “felon.” It’s a scarlet letter that people are forced to wear for the rest of their lives that literally makes discrimination against them legal. They are forever barred from participating in our nation as first-class citizens. We legislatively transform them from first-class citizens to second-class citizens in a Jim Crow-esque experience. We often forget that we are a part of the family of God only because of the grace that was first extended to us. Therefore, when we don’t then extend that grace to others, we forget who we are and whose we are, and we forfeit our birthright. As Christians we have a unique responsibility to think through our language. What would you say to someone who has never been inside a prison, who admits that they are afraid? Can you help us understand people who are incarcerated? We are socialized to think about people who are incarcerated as if they are not our brothers and sisters in Christ, as if everyone who is incarcerated is a villainous figure and so far away from God that we literally do not have brothers and sisters behind bars. But in reality there is a robust articulation of the gospel happening behind bars. There are people who are disciples making disciples in prison, to the point that men and women are being trained up to be pastors to other prisoners. We are socialized to think about people who are incarcerated as if they are not our brothers and sisters in Christ. Incarcerated people are people just like you and me. Some are incarcerated because they got caught making mistakes that many of us have made. Some people have been born into really toxic situations, which they tried to navigate the best way they knew how—and they made serious mistakes. We have a system that doesn’t really lead to reconciliation, restoration, or reintegration. Once you get trapped within that system it’s so hard to disentangle yourself from it. For instance, someone who has been convicted of a felony is literally barred from getting government assistance for the rest of their life, and in many states can never vote again. Often people who are incarcerated deeply lament the mistakes they have made. Many of them repent and sincerely give their lives to Christ. Yes, we have to talk about personal responsibility. There are some people who have committed violent, grotesque crimes, but in fact, that is not the vast majority of people who are locked up in our prisons, jails, and detention centers. When people are released, what obstacles do they encounter when they re-enter society? When a person who’s been convicted of a felony gets out of prison, they can’t move back in with their family if they are receiving government aid because then the family would lose that assistance. If you can’t even live with your family, what are you supposed to do? The system is set up to send you back to prison. Again, there are all these ways you can be discriminated against. How are you going to have a true second chance at life? One of the most distorted parts of our system is that men have to pay the back child support that accrues while they are locked up. On top of that, if you’re a man with a felony record who owes back child support, there are many jobs you can’t apply for. That’s especially true if you live in a state that still has a box you have to mark if you’ve ever been convicted of a felony. In many states, it is becoming increasingly common to charge you for part of your incarceration. If you can’t get a certain standard of a job, then you can’t make those payments. When you can’t make those payments, then you’re incarcerated again. That’s where the church can come in. If a person can’t move back in with their actual family, then the church can become their baptismal family. We can start to receive these people who have acknowledged their mistakes and turned away from sin as our brothers and sisters. The church needs to step up and provide the space for people to come alongside them. But we can only do that when we’re ready to address our own fears and clandestine ways of thinking about incarceration, because you can’t authentically love people whom you actually fear and only relate to from a safe distance. Until we’re ready to do the hard work to be truly proximate to the incarcerated and unpack the sinister ways we have been socialized to think about them, we’re not going to be much help to them when they come out. Are there ways we need to think about our legal system differently? for warehousing people in cages like animals? Is our whole system in and of itself violent? If that’s the case, then we are supporting a violent system through our votes and actions. We are inflicting violence on people who have no way to resist because we’ve incarcerated them and then taken away their civil and human rights when they get out. When we do things like subject people to solitary confinement—a form of incarceration that has been defined as torture—are we supporting violence? We know that has irreversible cognitive effects on people, yet we continue to support it through our legislation and votes. Is this issue bound by partisan divisions? What other factors are at work here? I think we’re in the midst of a moral and ethical awakening in the body of Christ. People are finally starting to realize that mass incarceration is not about one party’s agenda over another’s. This is a bipartisan agenda that has been used for political expediency by both parties. Our economic system actually supports policies that dehumanize people for profit. The reason we have private prisons in this country is because we ran out of space within our federal and state facilities to incarcerate people. At that moment we had the chance to look at resetting the system, to take a realistic assessment and recognize how many incarcerated people actually need medical interventions instead of incarceration. But we continue to choose to incarcerate them instead. That’s a lot more expensive overall—but the people who benefit from the labor of incarcerated people are reaping massive benefits from the exploitation of people living behind bars. That’s one of the things I hope people begin to understand—the lucrative nature of this industry. As long as people are making a lot of money, they have a vested interest in maintaining the status quo. The church needs to know that the system has devolved into a sinister economic exploitation of the least of these. When you look at who is actually incarcerated, it is the poor, the widows, the orphans, the refugees, the immigrants. It is the people with physical and mental disabilities. It is literally society’s most vulnerable people, and people of color, who because of systemic injustice are often bracketed in that quadrant of society. When we take the question seriously about who is most vulnerable, what is happening to them through mass incarceration, we see the image of God being defaced. My prayer is that the church will interrogate itself and see its role and how it has been conformed to the ways of the world on incarceration. If we were willing to change our definitions, what would justice really look like? Justice is incomplete without reconciliation. That’s one of the beautiful things about this paradigm. Our criminal justice system says justice is about punishment, but that’s not what Scripture tells us justice is about. Justice entails confession, repentance, and constructing relationships of accountability. Jesus calls us in the face of crime to move forward together—both the violated and the violators—under the confines of covenant relationship. Sin is never individual. It is always communal in its impact. If we don’t take a communal approach to reconcile the harm that is caused by crime, we’ll never truly live into our call to be reconcilers. Does God know about this ? Maybe we should be visiting with Him about the situation.